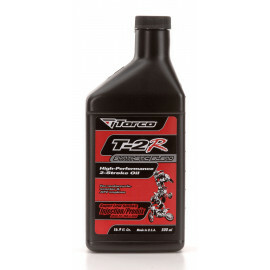 Torco 2 Stroke Performance, Injection and Racing Motor Oils. Essential fuels for any serious performance racer. Two-stroke oil which is also known as two-cycle oil, 2-cycle oil, 2T oil or 2-stroke oil) is a motor engine oil intended for use in crankcase compression two-stroke engines. Buy online at a great price at CAM Auto. 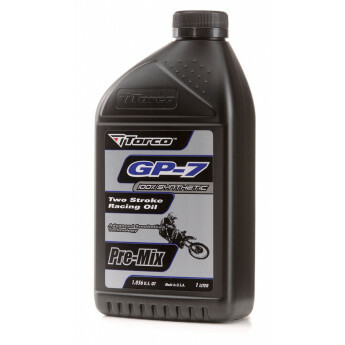 Torco GP-7 Two-Stroke Racing Oil is a 100% synthetic oil specifically designed for high output 2-stroke racing engines. GP-7 utilizes Torco's advanced smokeless technology to increase power eff.. The Torco PWC Two-Stroke Injection Oil is a superior blend of smokeless synthetic base oils, petroleum base oils and low ash additives designed for high output personal watercraft engines. Offers ..
Torco T-2i Two-Stroke Injection Oil is a combination of smokeless synthetic, highly refined low carbon petroleum base oils offering "ultra-clean" performance and protection in 2-cycle engines. 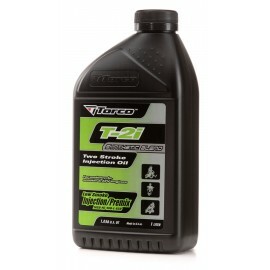 ..
Torco T-2R Two-Stroke High Performance Oil is designed for today™s High Performance Recreational Machines. T-2R™s well-balanced blend of smokeless synthetic and highly refined petroleum base oi..